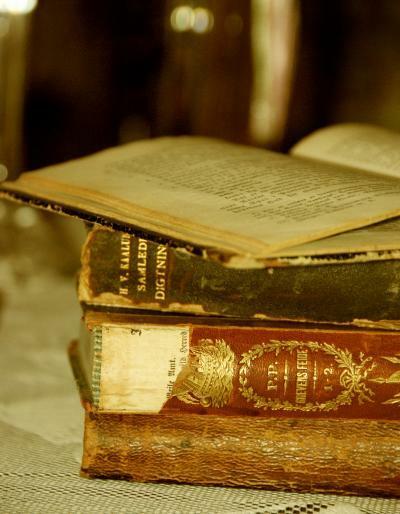 Feel like flipping through Marquise de Sade’s prison dossier or calming yourself with a Nordic fairytale? Our journey through the book-lined corridors of Parisian libraries will take you to some of the city’s most unexpected public spaces. So the next time you feel like idling away the afternoon in the pleasant company of a compelling book, why not do it in the cinematic setting of green-shaded library lamps, monogram-carved wooden doors and Rocaille style chandeliers? From picturesque old bookstores to literary hotels, cafés, libraries and museums, Paris is a genuine bibliophile’s dream come true. If you’re a book lover visiting or living in this magnificent city, libraries are a great place to start your pilgrimage. 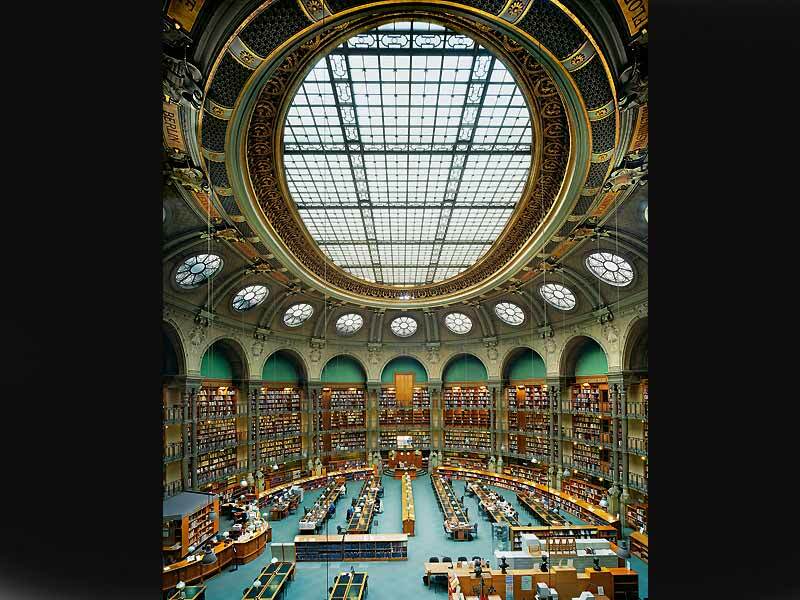 Overflowing with architectural grandeur comprising over five centuries of craftsmanship, the opulence of French libraries is a reflection of an époque when Literature played first fiddle and great classics were venerated with exquisite reading rooms matching their high rank in society. With their rare collections, Paris’ specialized libraries constitute an exceptional documentary network. Open to the general public, they offer access to a unique literary heritage in extremely diverse domains, such as architecture and urbanism; film, TV and video art; law and social sciences; art and literary history, youth literature, music, theater, tourism and travel. You can even take your child to a book reading, choose a debate to exchange ideas, meet a favourite author or see a free exhibition, to name but a few of the organized activities waiting for you there. Adults or children, locals or not, today Parisian libraries are open to anyone. To subscribe, just bring a valid ID card to a library of your choice. Borrowing books, magazines, comics, partitions, audio books and grammar guides is free of charge. You’ll need to pay an annual fee of 30,50 euros for CDs and 61 euros if you want to borrow DVDs. Valid for one year from the date of registration, your card gives you access to over 3.5 million items. It can also help you view your online account, make searches or reservations or prolong your books’ return dates. You can borrow up to 40 documents from all Parisian libraries at one time, as long as you return them in 3 weeks. Now if all this seems too good to be true and you hesitate what to start with, we know just where to take you with our library top picks list. 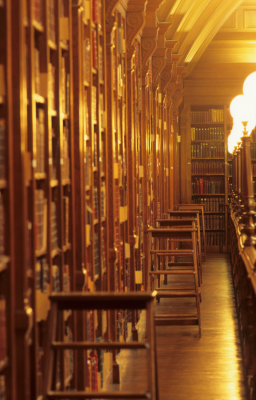 The city having sheltered some of the world’s top philosophers, poets and playwrights, boasts libraries that live up to the glory of its readers. Bibliothèque Mazarine is located at 23, Quai de Conti. Reading room open Monday to Friday, 10 a.m. to 6 p.m. A pass for five consecutive days is free; an annual subscription costs 15 euro, a valid document and two pictures needed. 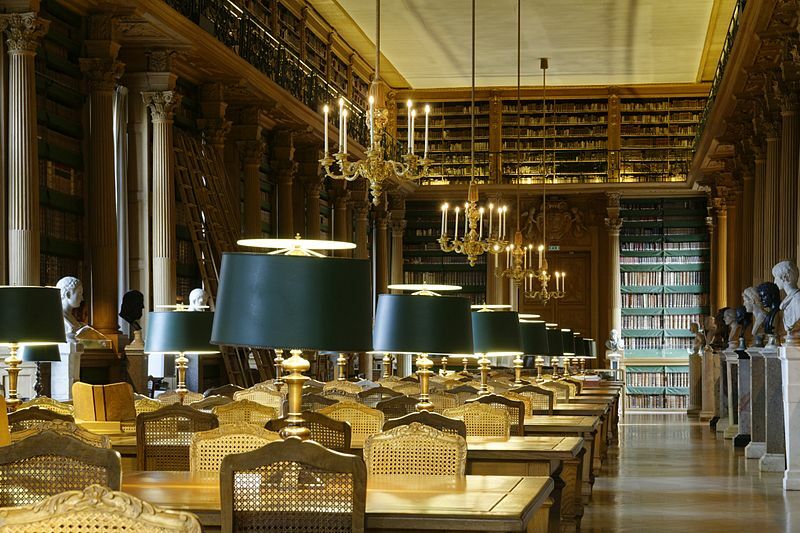 Boasting more than one million volumes in the general collection and a rare book and manuscript division, Bibliothèque Sainte Geneviève’s main attraction, however, remains the famed Labrouste Reading Room. When opened in 1850, its design was revolutionary. The slender cast-iron columns running down the center of the room give the space a floating airiness with specific charm. On a sunny day, beams of light coming from the windows facing the Panthéon fondle the heads of industrious readers. In more inclement weather, the beautiful green-shaded lamps cozy up the space, making it one of the most glorious interiors in Paris. Bibliothèque Sainte Geneviève is at 10, Place du Panthéon. Open Monday to Saturday, 10 a.m to 10 p.m. You will be issued a permanent subscription card free of charge. 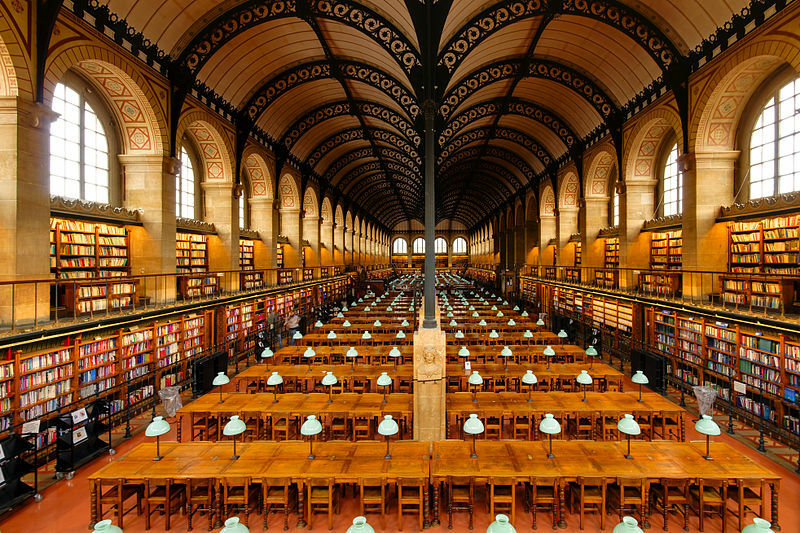 One of the most beautiful and photographed libraries in the world, this is the repository of everything published in France, amounting to more than 10 million volumes and manuscripts. With its glass ceiling and nine terra-cotta domes opening to the sky, its Oval reading room (La Salle Ovale) is another heavenly corner for busy researchers and common daydreamers alike. Bibliothèque Nationale, 58, rue de Richelieu. Reading room open Tuesday to Saturday 10 a.m. to 8 p.m. and Sunday 9 a.m to 12:30 p.m. and 1:30 to 7 p.m. Combine the idea of a quirky fairylike bookshop with yesteryear Parisian charm and this is what you’d get. “Shakespeare & Company”, the most famous Parisian bookshop, is neither a regular library, nor a normal bookstore, but a mix of both. Its tiny rooms crammed with crooked bookshelves, worn-out chairs, old mirrors, a piano and a wishing well look just like something that jumped out of a book itself. Founded by American expatriate George Whitman in 1951, the store became a hotspot for literary culture in bohemian Paris and was visited by Beat Generation writers and other famous figures, such as Beckett and Hemingway. In this bohemian refuge destitute writers could meet, write and even spend the night in the improvised beds placed between the shelves. Reportedly over 40 000 people have been lodged in the shop over the years. Supposedly, sleeping in the Philosophy section offered the best dreams, yet for many the most desired place remains the double bed in the Romantic section. 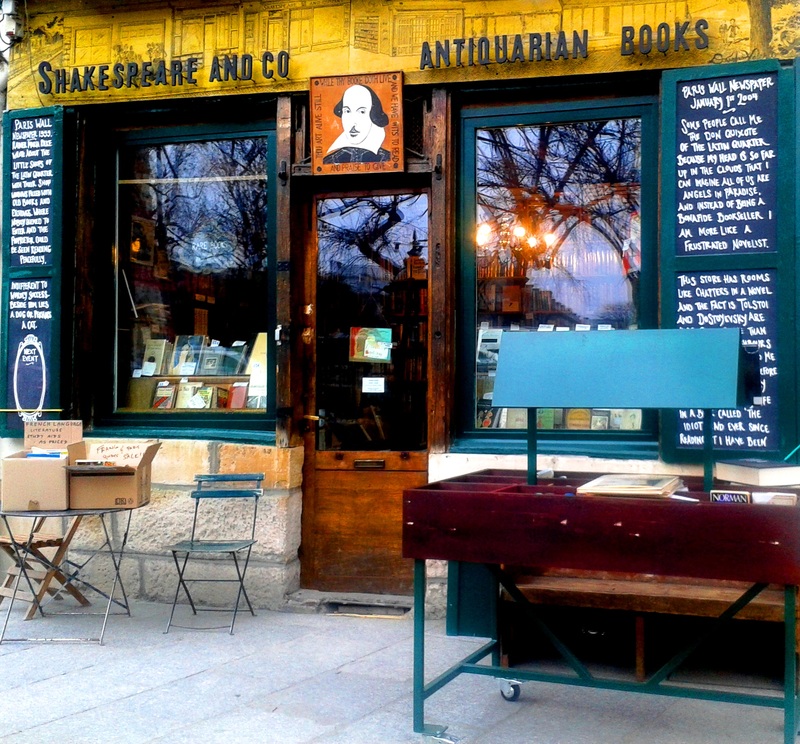 Shakespeare & Co. is at 37, Rue de la Bucherie, just opposite the Notre Dame cathedral. They are opened Monday to Friday from 10am to 11pm; Saturday and Sunday from 11am to 11pm.